Family owned since 1923. More flowers for your money. 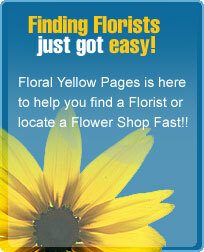 Specializing in custom arrangements, fantastic service, and fresh flowers. Something for everyone's taste & budget. Serving the entire St. Louis & St. Charles area. Family owned & operated for over 40 yrs. Satisfaction guaranteed. Specializing in custom arrangements. Something for everyone's taste & budget. Full Service Florist. Satisfaction Guaranteed. Family owned and operated since 1955. We carry a full line of handmade chocolates. Specializing in unique and custom arrangements. We have a plant specialist on staff. Our designer trained at Academy of Floral Art in Saint Louis. Our goal is to exceed our customers expectations with quality, care, and professional service. Serving all hospitals and funeral homes. See our other website for ideas for your wedding.